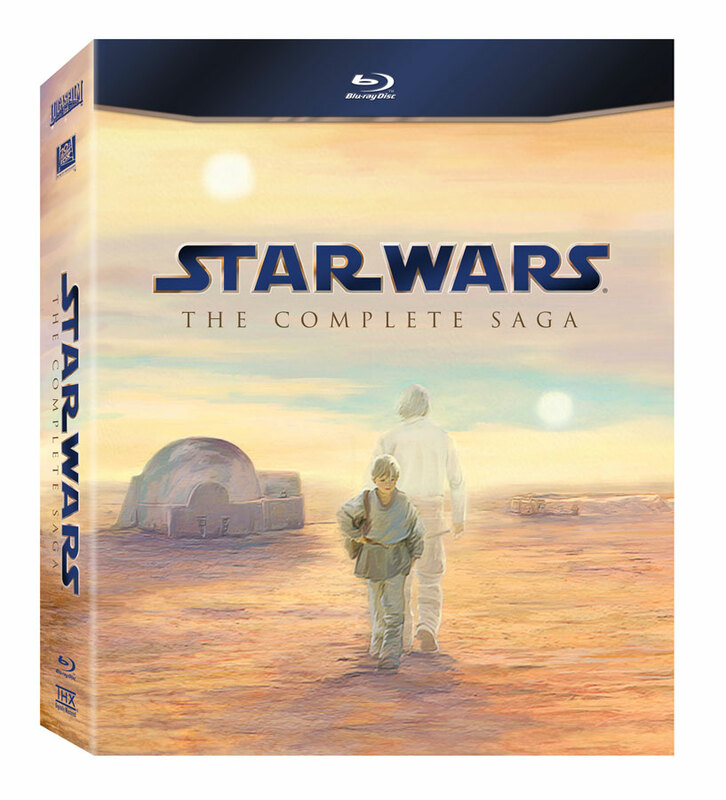 Lucasfilm announced all of the documentaries that will be included on disc 9 of the complete box set. I wish they would just release this by itself. It's got everything short of the Muppet show and the Holiday Special! NEW! Star Warriors (2007, Color, Apx. 84 Minutes) – Some Star Wars fans want to collect action figures...these fans want to be action figures! A tribute to the 501st Legion, a global organization of Star Wars costume enthusiasts, this insightful documentary shows how the super-fan club promotes interest in the films through charity and volunteer work at fundraisers and high-profile special events around the world. NEW! Star Wars Spoofs (2011, Color, Apx. 91 Minutes) – The farce is strong with this one! Enjoy a hilarious collection of Star Wars spoofs and parodies that have been created over the years, including outrageous clips from Family Guy, The Simpsons, How I Met Your Mother and more — and don’t miss “Weird Al” Yankovic’s one-of-a-kind music video tribute to The Phantom Menace! Classic Creatures: Return of the Jedi (1983, Color, Apx. 48 Minutes) – Go behind the scenes — and into the costumes — as production footage from Return of the Jedi is interspersed with vintage monster movie clips in this in-depth exploration of the painstaking techniques utilized by George Lucas to create the classic creatures and characters seen in the film. Hosted and narrated by Carrie Fisher and Billie Dee Williams. One website is reporting the Saga cover will be lenticular. 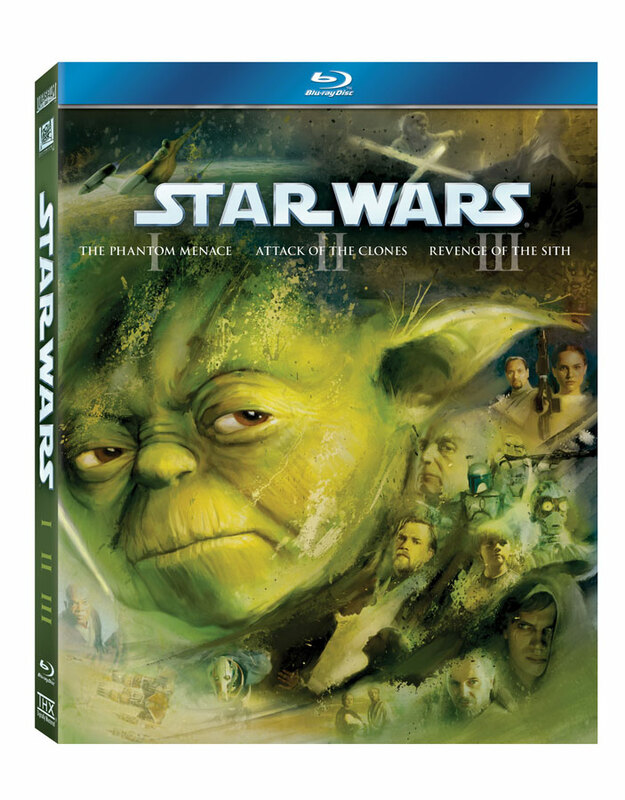 So why is Yoda's noggin so prominent on the prequel trilogy box? He certainly didn't play that big of a role in those movies. No biggie though - more interested in the discs. *Sigh* not exactly a whole lot in my humble opinion to get me to buy a blu-ray player plus the movies yet. One cool feature would be IF the deleted scenes could be re-integrated back into the respective movies. Oh well, Long live Star Wars and May the 4th be with you all! Is everything from the previous DVD releases included in this set? Agreed--it's kind of an odd choice. Anakin would make more sense with Vader on the other set but who would want to look at Hayden Christensen's giant pouty face like that, honestly? Impossible to say for sure without knowing the details of discs seven and eight, but given that Empire of Dreams and The Beginning aren't mentioned anywhere, I'm gonna guess no. Yes sir! And go. . . Bulls? Hope they come out of the East. Anyone but the Heat. Or the Celtics. Yes, go Bulls but they have not looked like championship contenders in the playoffs. All of the Chicago teams (minus the Hawks) are cursed. Looks like a good amount of stuff included in the extras, but I think we're all most curious about the deleted scenes and any changes made to the movies themselves. I guess we won't learn about that until Comic Con, unless things leak out sooner. I'm really excited to get the movies themselves on BD, and the extras lineup looks good too. Although we already have them on DVD, I would have liked to see things like Empire of Dreams and The Beginning included too. Also, I was sort of hoping for an old special from the '80s that I remember (and have on VHS), "From Star Wars to Jedi". It mainly covers Jedi, but I remember seeing it on TV a few times as a kid, and then picked up the VHS off of ebay a few years ago. A pretty good special. The original OT DVD box set had some other nice features on it as well, with trailers and a characters feature, that would have been nice to see included. All said though, it looks nice and I look forward to picking it up. Now to see what kind of store exclusives there will be, hopefully that won't make it more difficult . Well going into this I am mostly interested in the deleted scenes. If certain deleted scenes are included that is. I am thinking of stuff like Toshi Station, Luke completing his lightsaber, the Jedi raid on the Droid Control Ship, hopefully the Wampa attack, and others we have heard over the years if they were ever shot. 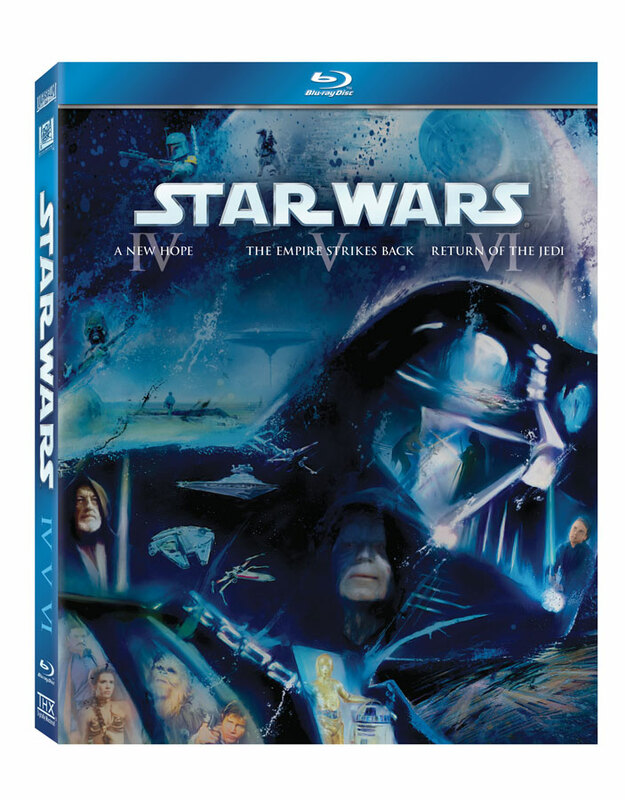 I really would have liked the original release of Star Wars, ESB, and ROTJ on these somewhere. I would much rather have that than every single documentary ever made. I think we have gotten our fill of those over the years. I will gladly take them but . I guess I should just go out and buy that one DVD set that had the originals on it from a few years ago. I can't really see myself skipping these Blu-Ray sets. I mean it's Blu-Ray for Heaven's sake! I do hope they clean up some FX and replace that crappy TPM Yoda puppet. The CGI one looks much better IMO. I know blasphemous, but it's true. Perhaps some other things will get fixed like say Han Shooting First (it has earned capital letter status). Or maybe even making Luke's lightsaber color blue in the Millenium Falcon. Stuff like that.